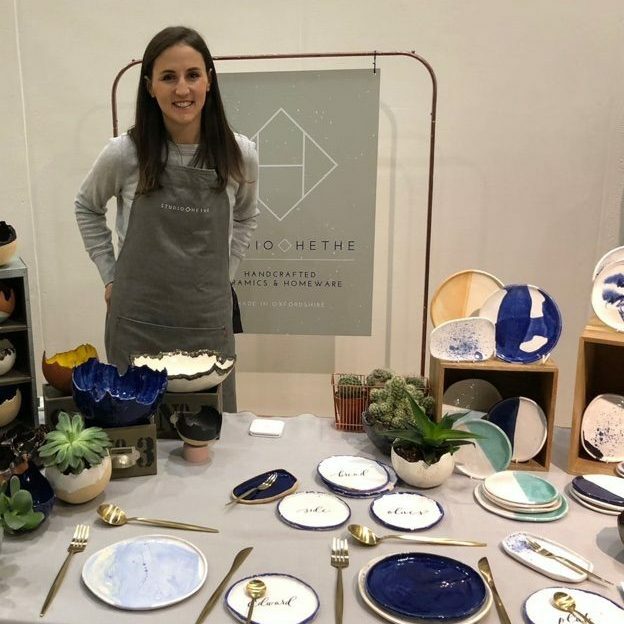 Studio HETHE was established by ceramicist Jaime Rose at her home in Oxfordshire in 2018. Out of her garden studio she produces a range of table and homeware inspired by her rural surrounds but guided by modern aesthetics. 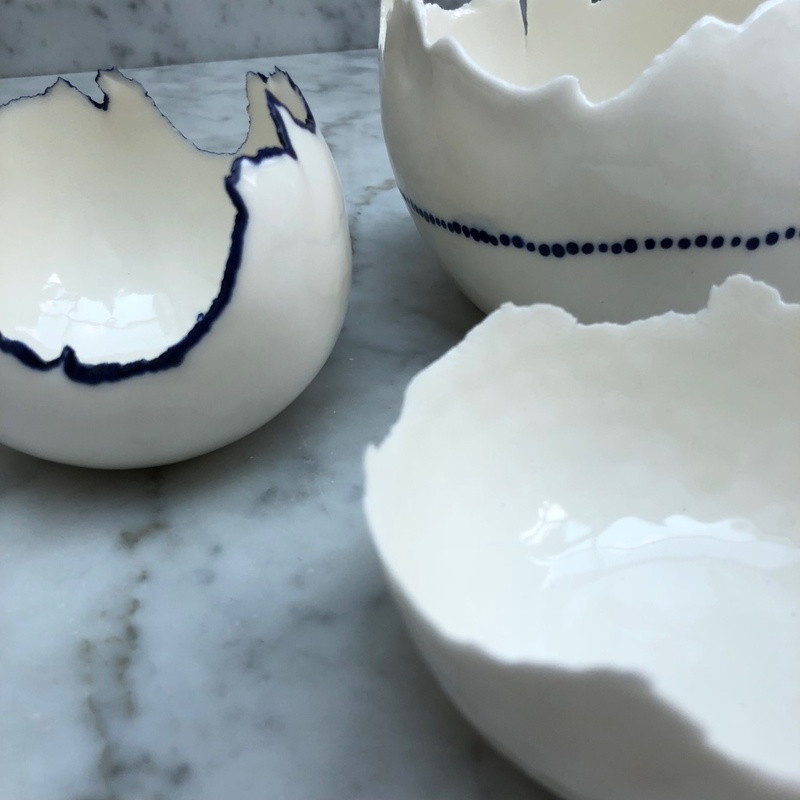 With an emphasis on natural, tactile forms, Jaime subverts traditional ceramics practice; rather than aspiring to create multiple, identical pieces, she believes each piece of clay is distinct and has its own identity that only truly uncovers itself in the making process. By eschewing uniformity and instead letting the clay dictate its final form, highlighting rather than masking the maker’s touch, the individuality of each piece is highlighted, whilst still retaining the distinct studio HETHE aesthetic. 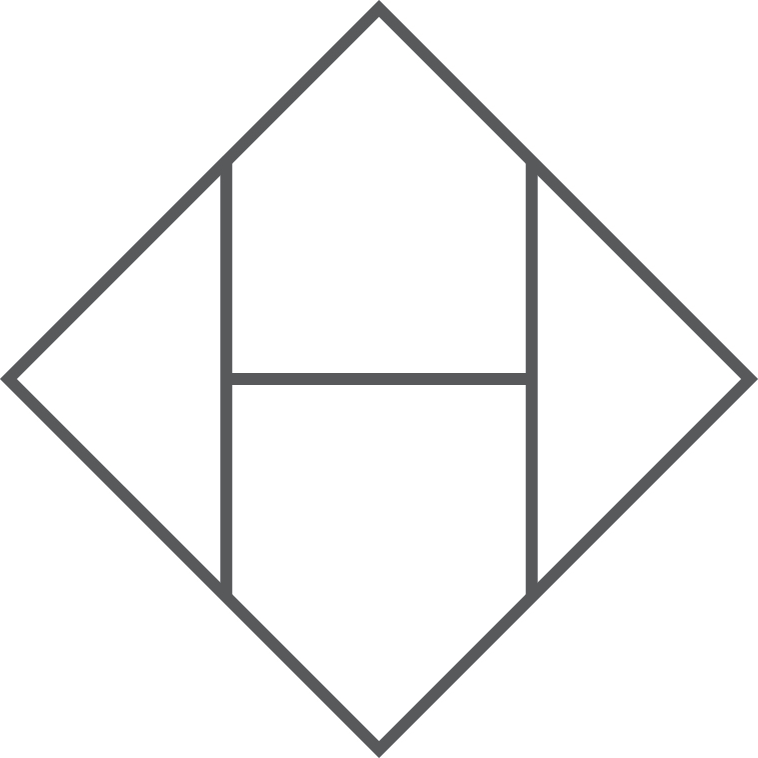 Her two signature ranges are produced predominantly off-wheel, by hand, using a highly personal technique. 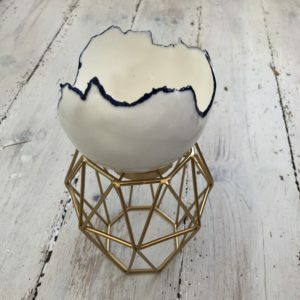 Her eggshell bowls are hand-sculpted, fragile and rugged but glazed with modern, bold glazes making perfect decorative items but also ideal planters or candle holders. Seeking to shape her skills and produce something with a more functional edge, and in desperate search of the ideal side plate, she stumbled upon her technique of hand building plates. 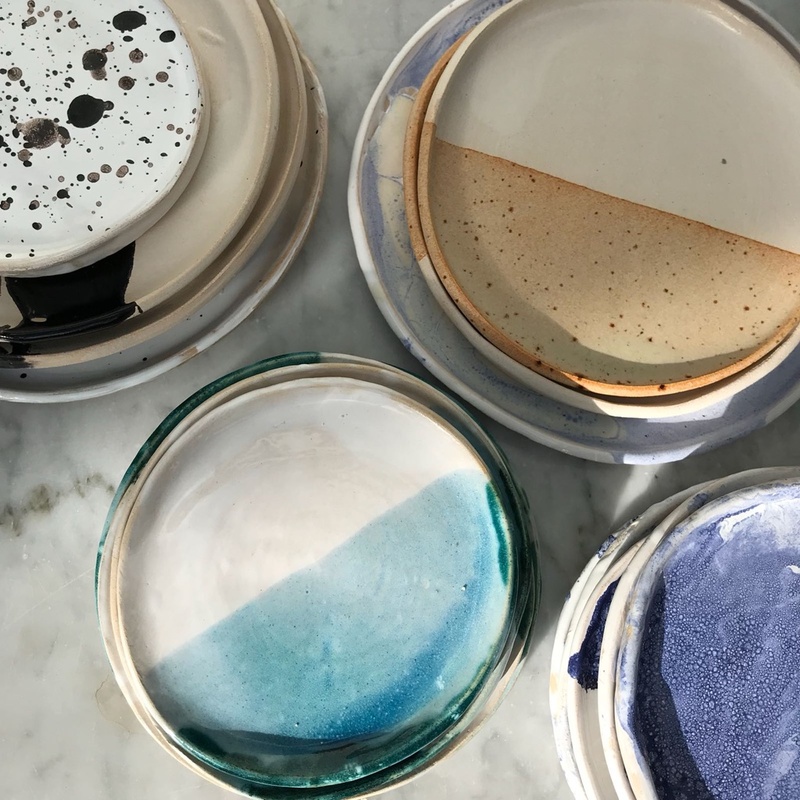 Now producing a range of plates varying in size from soy sauce dishes and up to serving platters, the same studio HETHE principles are applied. All pieces are hand-built, with individual variations and glazed in a modern, bold way inspired by her surrounds. 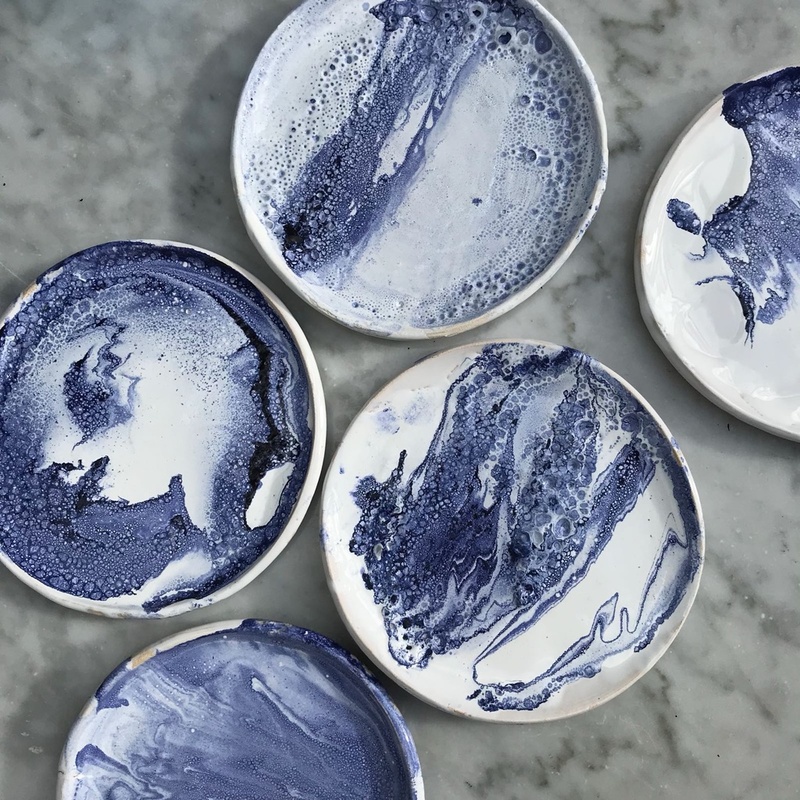 Her range of calligraphy plates are made in collaboration with ceramicist Natalie Charlotte and are made-to-order either with hand-written calligraphy direct onto the plates, but also available with decal transfers allowing for larger scale production.